Batata Vada – Eat, Click, Travel and Repeat! After living in Sweden for 2 months now, I have started craving typical Indian fried snacks! Batata Vada is one of them, which forms an integral part of the most famous street food of Mumbai called as Vada paav. People have written so much about this food item, so much so, it’s called the “Indian burger“. The vada is considered to be similar to the meat patty found in any standard burger. 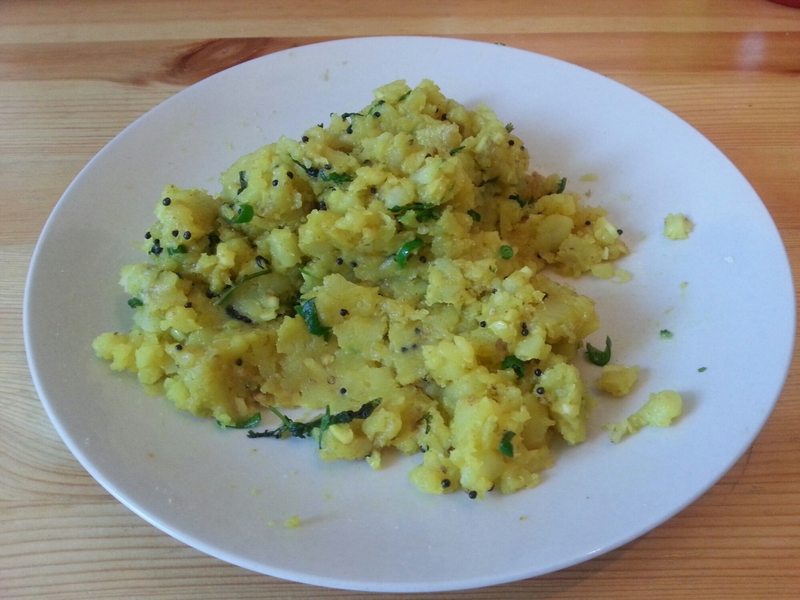 Difference is – this one is vegetarian and made up of only potatoes (batata)! Yes, potatoes and garlic are key ingredients. Clearly, if you have phobia for either of it, this one’s not for you. I wouldn’t eat Batata vada as often as I would have eaten Samosa back in Mumbai. Nevertheless, its one of the easiest recipe and a tasty snack! First mash boiled potatoes. Mix garlic, ginger, chilies and salt in it. Add 2 tbsps of oil in frying pan. When oil is hot, add mustard seeds. Wait for the seeds to crackle. Add asafoetida, turmeric powder in it. Add mashed potatoes and fry for few minutes. Add coriander, cumin powder and coriander leaves.Keep the mixture aside to cool down for five -ten minutes. Prepare batter in the mean time. 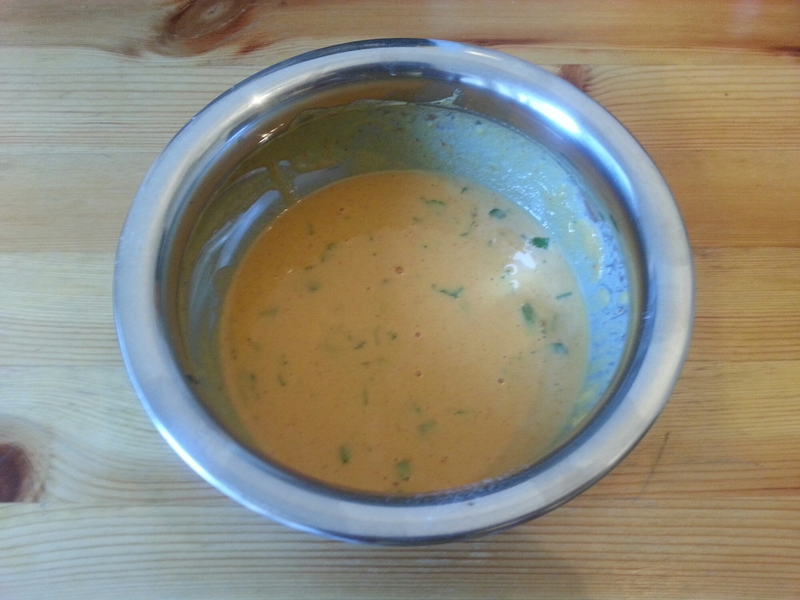 Mix gram flour, rice flour,salt, red chili powder, coriander leaves, turmeric powder and water. 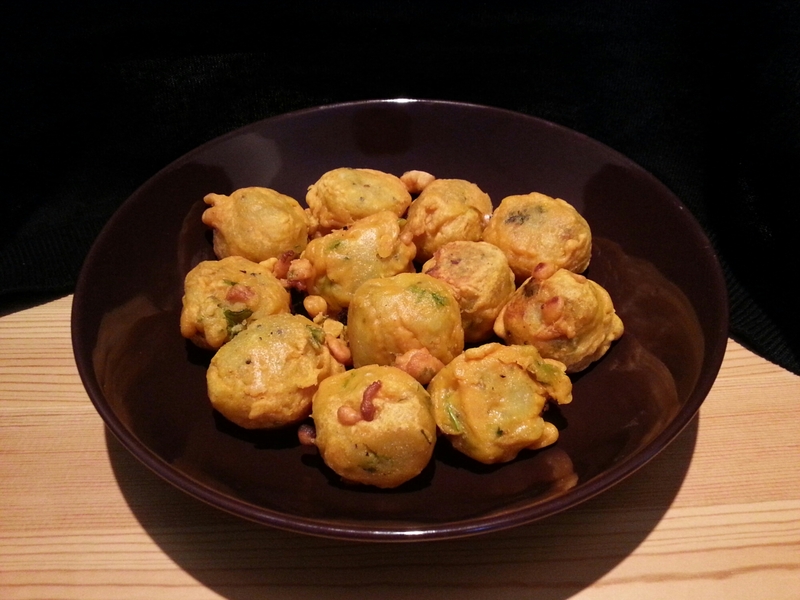 Make small balls of potato mixture. Drop these balls in the batter, check that the potato balls are thoroughly covered with batter. Now drop them in oil for deep frying. Remove the vada when they turn golden brown color.